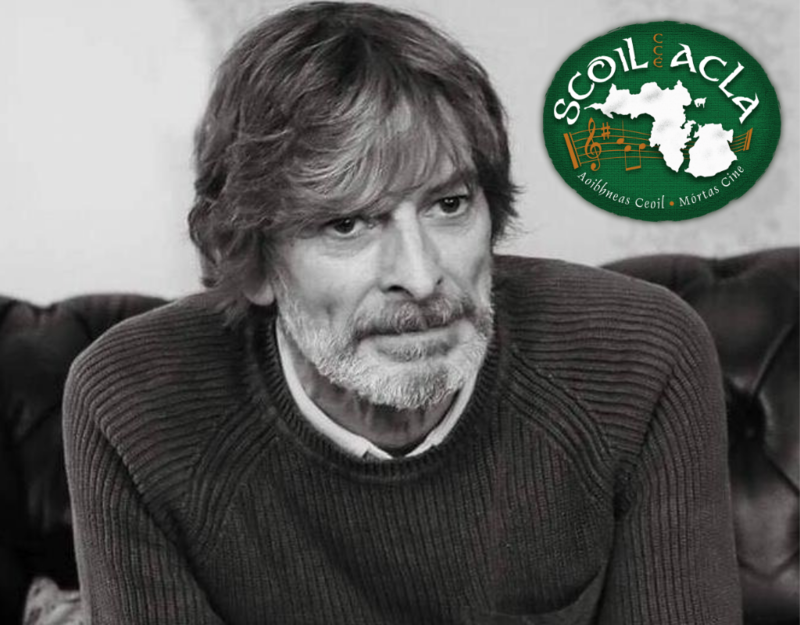 Coiste Scoil Acla is delighted to announce that Irish music legend Seán Keane will officially open our 2019 Scoil Samhraidh. The official opening of Scoil Samhraidh Scoil Acla 2019 will take place in Óstán Oileán Acla, Polranny on Monday 29th July at 6pm and will include a showcase of Achill talent. Well known for his distinctive sean-nós-style voice, Keane’s songs encompass a mixture of traditional Irish folk music, pop, blues, and country. Seán is an accomplished artist and has released eleven solo albums and collaborated on five others. Distinguished artists and dignitaries who have opened the summer school in the past include former President of Ireland Mary Robinson, Current President of Ireland Michael D. Higgins, former Taoiseach Enda Kenny, Ciarán Mac Mathúna, Labhrás Ó Murchú, Eamon Ó Cuív TD, An tOllamh Tomás Ó Concheanainn, Pádraig Ó Raghallaigh, Dr. James White, Tom Kenny, Ted Williams, Matt Molloy, Cathal Goan, Sean Potts, John McGahern, Breanndán Ó Beaglaoich, Harry Bradshaw, Mary Cloake, Dr. Katie Sweeney, John F.Deane, Padraig Ó hAoláin, Áine Hensey, Peadar Ó Riada, Tommy Peoples, Piaras Ó Raghallaigh, Micheál Ó Suilleabháin, Grace Toland, Neansaí Ní Choisdealbha and Micheál Ó Muircheartaigh. Scoil Acla Summer School 2019 is a week-long festival of music and culture running from July 29th to August 3rd encompassing traditional music classes, recitals, workshops, concerts and more! Online bookings will open soon and an early bird discount will be available, please note some courses are limited and early booking is advised. For more information visit www.scoilacla.ie, email: info@scoilacla.ie or phone: 085 881 9548.